GAIL recruitment 2018 notification has been released on official website www.gailonline.com for the recruitment of total 06 (six) jobs out of which 01 (one) vacancy for Shift Duty Medical Officer, 01 (one) for Specialist Doctor (Paediatrician) & Various Vacancies. Job seekers should on or before 15th January 2018. 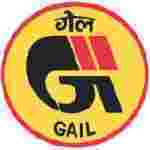 Here on this page you will get the details like the Name of vacancies released by GAIL with exact number of posts. Some other criteria like Education details, application fee and way to apply application for GAIL recruitment 2018. Educational Qualification: MCI recognized full-time MBBS Degree. Preference will be given to candidates possessing Diploma in Industrial Medicine or Certificate of Training in Industrial Health of minimum 03 months duration for S.no-1. MCI recognized full time MBBS Degree along with Post Graduate Qualification (Diploma/Degree) in Respective Specialty/Discipline for S.no – 2. Interested and eligible aspirants may apply in prescribed application form along with one set of photocopy of all relevant testimonials and 2 passport size colour photographs send to Dr. B.S. Mathur, Gen. Manager (Medical Services), GAIL Dhanwantri Hospital, GAIL (India) Limited, Pata, Distt – Auraiya, Uttar Pradesh, Pin Code- 206244 on or before 15.01.2018.